Do you need to find new vendors? As part of a year-end or Q4 analysis and planning for an improved future, it’s not uncommon for retailers to start looking for new vendors. Now is a great time for looking at all your data from last year, especially from the holiday shopping season, and seeing if there are areas where you need to replace suppliers or find new vendors to more efficiently meet your customers’ needs for the year to come but especially for the next holiday season. The last vendor didn’t fulfill like you expected. The first step is to scorecard and rate your vendors, identify who the laggards are and then meet with them to see how (and if) they can improve. You already have the infrastructure in place, you have the plan written up, and trading partner intelligence can offer the data to develop a fact-based decision on what to do next and to prepare for that conversation. The result will either be to replace the vendor or helping the vendor create an improvement plan for the upcoming year. Be sure to identify specific milestones aligned with minor shopping holidays like Mother’s Day or Back to School to evaluate their progress in the year ahead..
You need new vendors or resources to support new product lines or category expansions. where there is a geographical driver. They’ve looked at the data to see where online shipments are being delivered and have identified several regional clusters or even a city that saw a lot of traffic. 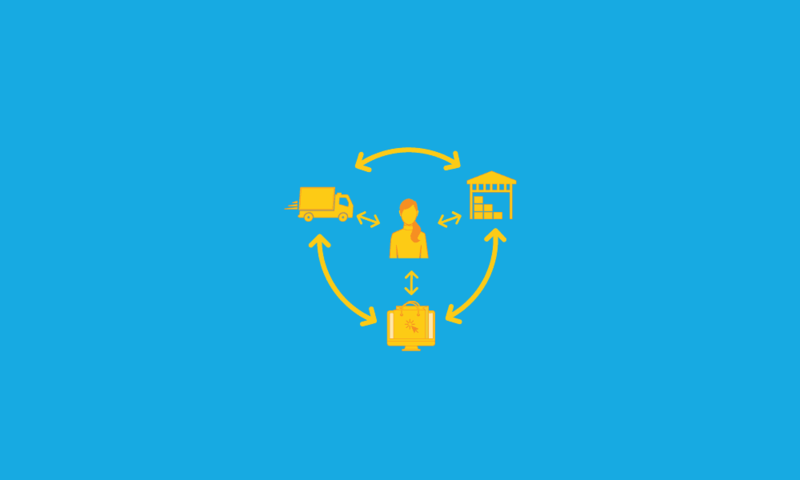 This insight can help you understand whether you need a 3PL (third-party logistics) partner, drop ship capable vendors, a new warehouse, or even a store, to better serve your customers in those areas. Additionally, the performance of your sales can indicate a need for additional or different vendors. Did you see any surprises or opportunities for growth during the holiday season? You can add more products, sizes, colours, etc. to that category, but does that mean you should add new vendors and new items altogether? Using data and insight from your sales can help you evaluate your vendor needs, but there are other ways that might not always be so obvious. For example, consumers love to have their voices heard, so customer reviews are found everywhere online. Maybe the reviews focus on product quality issues or those surrounding fulfilment and delivery. In some instances, maybe problems are identified that might not get shared with customer service. If people are writing reviews, whether positive or negative, take advantage of the information that they offer. They may shine a light on other ways you can make improvements, or even let you in on a product feature or service that you didn’t even know was important to your customers. Perhaps they want two-day shipping, a faster buy online, or a pickup from store option. Next, determine whether or not you need new vendors is only the first part of any vendor analysis. Depending on the route you take for finding new vendors, this could be either the easiest or hardest part of your quest to find new vendors. After this point, you’ll have to actually go out and find the vendors to fill in the identified gaps, negotiate a contract, onboard them into your order system and finally getting them started with order fulfilment. The typical and traditional route for securing vendors is to do this all on your own, meaning that your time is spent collecting data by hand and your vendor discovery time will be significantly long and inefficient. Consequently, search results might not lead to a vendor that aligns well with your sourcing strategy. Then there is the modern method for finding new vendors through a retail network, which automates much of the discovery process, vets vendors to remove misalignment risks, ensures vendors are highly aligned with your sourcing strategy, and delivers a fast onboarding speed to help you compete on time to market. Which seems like the better choice for the fast-paced rate of retail? With a retail-focused network, retailers have access to tens of thousands of vendors and millions of SKUs (Stock Keeping Units) that are ‘plug-in’ ready to integrate with their business. You quickly find vendors and 3PLs in the areas needed, with up-front information about product offerings, inventory, fulfilment capabilities, shipping capacities and more. Onboarding is much easier as part of a network, which means that your new vendor could be serving your customers within hours to days instead of weeks to months. With the information and features offered by a retail network, you could save both time and money while significantly increasing the chances of success for your new vendor partnership. Retailers should always be looking for opportunities to expand their product and service offerings. There are always new vendors to add, new product lines to offer, and new fulfilment methods to explore. With the right information and the right connections, it can be as easy as identifying the need and connecting with the vendor and routing orders their way. We help retailers find new vendors, source new products, and communicate with new trading partners quickly and more effectively. If you’d like more information on any of these solutions, please visit the SPS website for more information or to contact a sourcing expert today. As director of product management for SPS Commerce, Wael Mohammed oversees the vision, strategy, and product development of SPS’s Sourcing and Assortment products. Before joining SPS Commerce, Mohammed served in various product management roles at Field Nation, NativeX, and Kroll Ontrack. Other than his startup experience, Wael also consulted at large corporations including Target, Datacard Group and Reliastar Financial. He started his career as a Software Design Engineer at IBM. Mohammed holds an MBA from the University of Minnesota’s Carlson School and is currently a Masters’ of Data Science student at the University of Chicago.